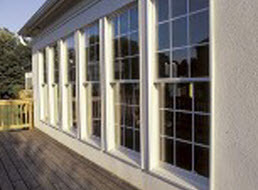 New windows will enhance the curb appeal and beauty of your home or your business. Because of having dual panes and other noise dampening and energy conservation features, new windows will immediately lower your energy costs during the cooling and heating seasons, improve the level of comfort and create a quieter environment. We will install vinyl windows into new custom homes, existing homes, or businesses. Our vinyl windows eliminate glares. They will not fade with the sun. We work with various types including a popular brand called Retro Fit™ which is installed without stucco damage, Another type called Block Frames™ are easily popped into the existing wood sash windows, and Nailon™, which are used for new construction. 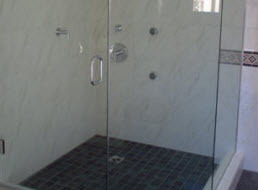 You probably found us by using one of these keywords, if not, then write one of them down and enter it next time to find us: custom mirror, custom showers, custom storefront, door installation, doors, frameless enclosure, frameless shower doors, mirror installation, mirrors, residential glass work, seamless shower door, seamless shower doors, glass shower door, shower doors, shower enclosures. By the way, it’s all real – it’s what we do. 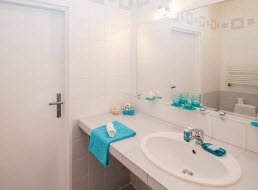 Note: Our prices vary per square foot and we provide regular maintenance after the job is done. Aluminum – Aluminum is a lightweight, silver-white, metallic element that makes up approximately 7 percent of the Earth’s crust. Aluminum is mined in the form of bauxite ore where it exists primarily in combination with oxygen as alumina. Aluminum is used in a variety of ways, including window and door replacement. Vinyl – Extruded vinyl frames provide good thermal performance, and are easy to maintain. Large vinyl windows may be reinforced to increase their strength; some reinforcing materials may increase conductive heat loss. Use the ER number to assess the effect of the reinforcing material on thermal performance. Thermally welded corners can prevent air and water leakage if the welds are continuous. Hollow sections of vinyl frames can be filled with foam insulation to improve thermal performance. Wood – Solid wood frames have a good insulating value and structural strength but require protection from the weather. Low-maintenance, factory-applied claddings and finishes are available. They must prevent water from becoming trapped behind them. Look for well-sealed corners as well as gaskets between the cladding and the glazing. Heat-conductive cladding materials should not touch the glazing or extend in from the outside of the window towards the interior. Single Pane – one pane of glass. 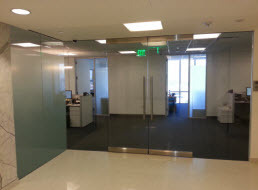 Dual Pane & Thermo Glass – Dual Pane & Thermo Pane are also know as IGU’s or Insulated Glass Units. Dual Panes and IGU’s are two panes of glass, (like a thermos bottle) hermetically sealed against moisture vapor, with an air space in between, insulating the outside air from the inside air. It keeps the hot air out during the summer and the warm in the winter. IGU’s make your home safer and more secure. IGU’s also cut down on outside noise by 80%, as well as help reduce energy costs. However every so often there is a “seal failure”. Foggy – Fogged dual – double pane windows results. There are basically two causes of seal failure resulting in “foggy or fogged windows”. The first cause of these foggy windows is the continued soaking of “rain”, “roof”, or “hose” water that shows up as evaporated water (moisture) trapped under the glass unit. This trapped water breaks down the sealant between the two items of glass and then works its way to the inside of the window. This moisture is the “fog” in “foggy – fogged windows.The second cause of foggy – fogged dual pane windows, which seems to be the most common cause of the failure, is what is called Solar Pumping. The changing of temperature from day to night and back, causes a change of the air pressure inside the window every day and night. This constant change of pressure, more during the day and less at night causes bits of moisture to be trapped inside of the window which after a few years of contained wetness to the window insides, results in a “fog” lurking inside of the window, making cleaning near to impossible. Yet, these windows are beautiful and last a very long time under normal conditions. © 2018 M & M Glass Service. All rights reserved.